Our Weekly Tournaments are free to enter, and they are sanctioned. This means that they do count towards your Play!Pokemon points, 1 point per month up to 12 per year. The core of Pokémon Organized Play is our sanctioned tournaments, where players can compete on a regular basis to build your rating & ranking! The Tournaments is more for competitive play, where players compete against other players, and depending on how many players we have, will play in three, four or five 30 minute(+3 turns) rounds of play against a different opponent each round. Tournament players should be those who already know how to play the Pokemon Card Game, and have their own 60-card Modified decks. If they do not yet have a Sanctioned Pokemon Organized Play ID card, we will gladly provide one for them. Currently we have been having between 12 and 30 players each week. In the interest of maintaining a healthy tournament environment, Pokémon Organized Play begins each new tournament season by removing older expansions from Standard format competition. Each annual rotation challenges existing players to create new strategies while enabling new players to get involved in Play! Pokémon events with minimal investment. The 2015 season starts on July 14, 2014, so players can get an early start on working toward the 2015 Pokémon World Championships. However, the rotation will not occur until September 3, 2014. The 2015 Pokémon World Championships, held August 21–23 in Boston, will use the 2015 format and rules as currently listed, rather than using the format listed below. 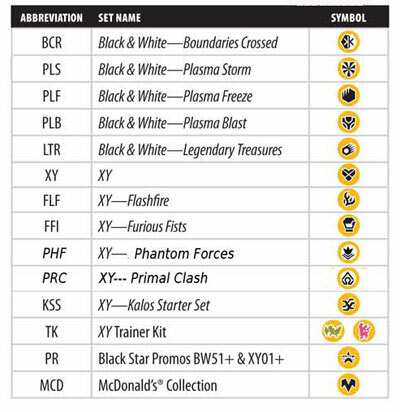 With the exception of basic Energy cards and previously printed cards that appear in Modified-legal sets, players may not use cards from Pokémon sets prior to Black & White – Boundaries Crossed. Players using previously printed cards that appear in Modified-legal sets must play those cards using the wording of the most recent printing of the card. In the event of significant changes to a card’s text, players will be required to provide an external reference of the most recent printing. Additional expansions become legal three weeks after they are released in the United States. Starting on September 3, the new Expanded format will be joining the familiar Standard format as a legal option for sanctioned Pokémon TCG events of all sizes. 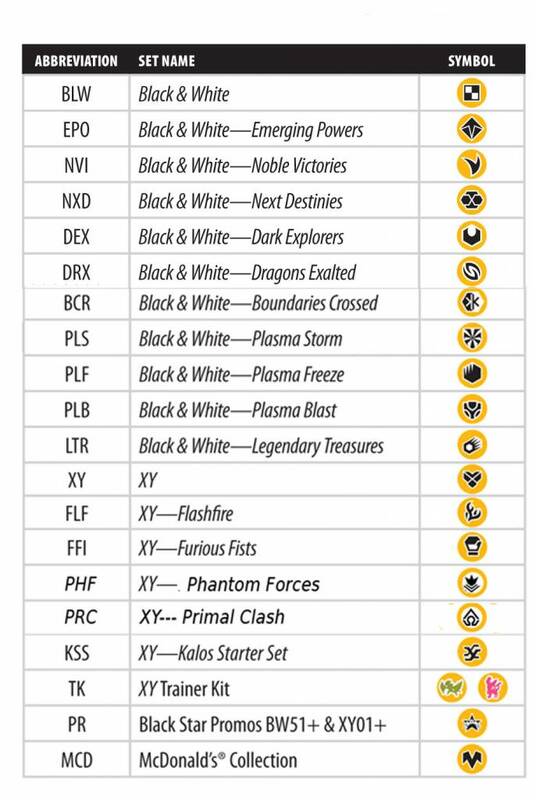 This new format will allow players to use all expansions from Black & White on, so players will have even more options when designing a winning deck! Players should double-check what format is being used before deciding which deck to bring to their local events. the Pokémon TCG: XY—Kalos Starter Set launched on November 8th, 2013! Flip a coin before drawing your opening hand. The winner of the coin flip now decides who goes first. Also, whoever goes first now can’t attack on his or her first turn. If you win the flip, decide carefully if you want the first turn or not! Flip a coin. If heads, switch 1 of your opponent’s Benched Pokémon with his or her Active Pokémon. While there are no functional changes to these cards, you may not include both of them in your deck. 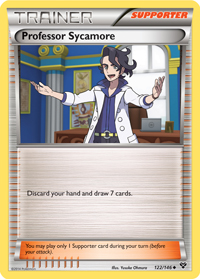 That is, you may have up to 4 copies of Professor Juniperor up to 4 copies of Professor Sycamore—but if you have any Professor Juniper cards in your deck, you may not put any Professor Sycamore cards in your deck, and vice versa. in the Rules & Resources section. Of course if you have any questions at all as to if your deck is Tourney ready or not, please feel free to stop in a few minutes early and have us check over your deck for you. Starter decks are always availableat the store, as well as card sleeves, dice, damage counters, booster packs, and many other accessories to make your gaming experience fun!